“longed for” ofuro to australia | Bartok design Co. “longed for” ofuro to australia – Bartok design Co. Sometimes we deal with architect offices or construction companies, often we deal with end users. Some clients are rationally minded business owners who have an organized mentality. 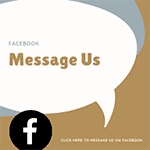 Some clients are carrying on their house remodeling and are very excited about the details. Each tub has its own story which is what makes my work of “bridge between two cultures” so meaningful and rewarding. This tub belongs to very enthusiastic client who knows what she wants and can communicate it very well. Every email from the client it is like an energizing potion that leaves me fully recharged for the whole day…! 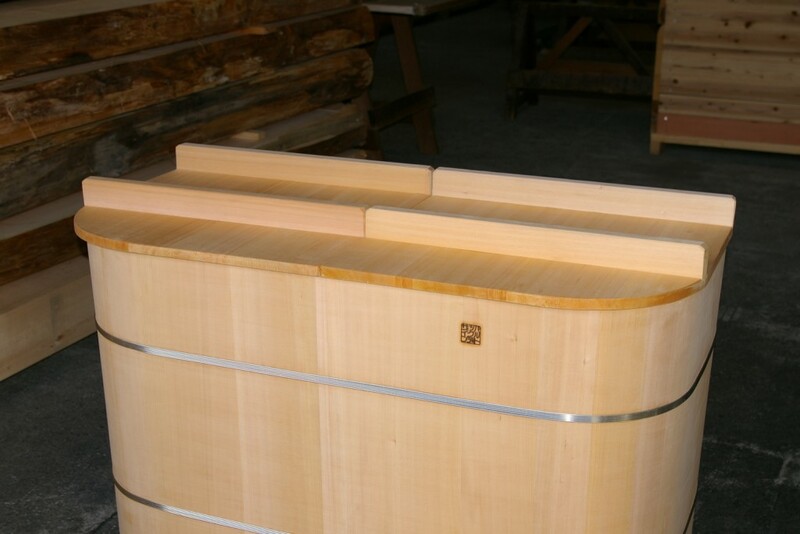 Material is sawara cypress. The difference of color between the different planks is minimal, but because the wood fibers reflect the light with different angles when taking a photo the contrast appears increased. 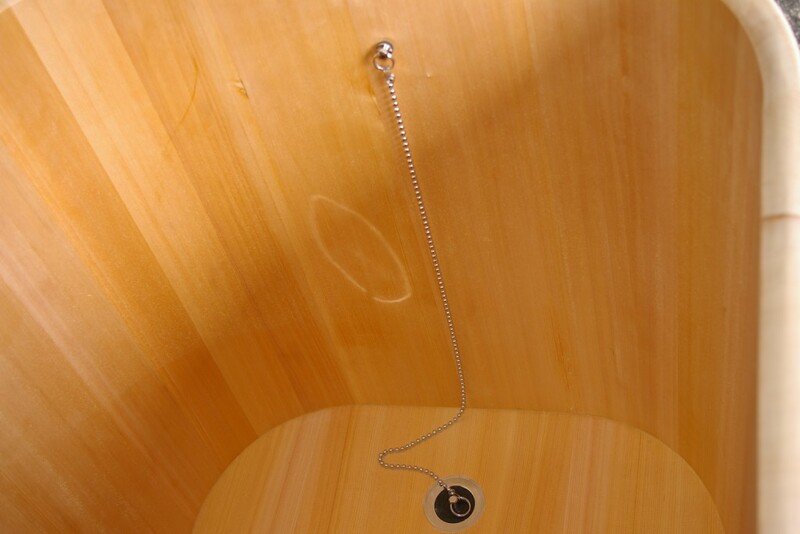 Hot water will release a soothing aroma out of the straight grain of this sawara wood. 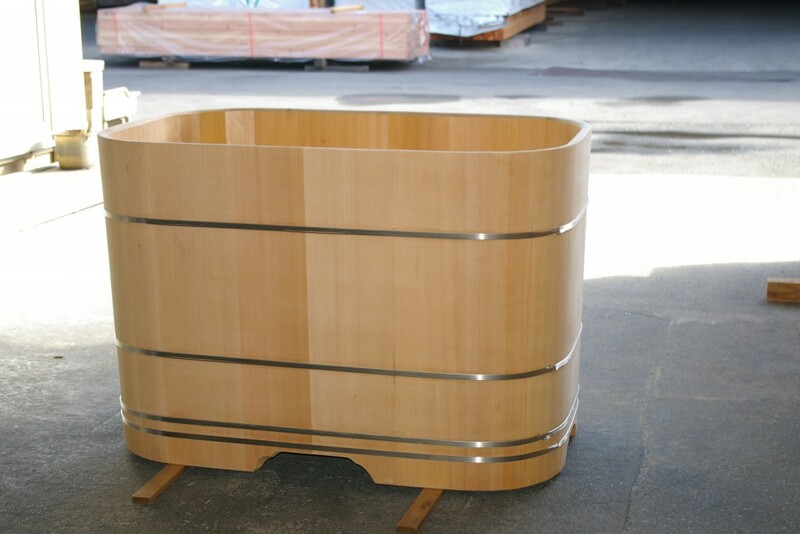 I am sure the ofuro is going to be pampered in his new home in Australia!